Explore Online Undergraduate Degrees and Graduate Degree Programs Today! eLearners knows that online undergraduate degrees and graduate degree programs are becoming more and more popular with today's students. In 2014, over 4.8 million students took some online courses in pursuit of a undergraduate degree and this number continues to climb. No matter what your interest is eLearners strives to provide information related to online programs from business to technology and everything in-between. eLearners also provides you with interesting interviews and excerpts from industry experts, potential salary figures and other important info to help you make an informed choice. Because finding an online undergraduate degree that’s right for you is an important decision! Online students are looking to improve their employment situation and are satisfied with their investment in an online undergraduate degree or graduate degree. Why Enroll in a Graduate or Online Undergraduate Degree Program? We don’t always immediately know what job we want to have for the rest of our lives! As a result, sometimes you’re not working in the field that you want to make a career in. It’s a big decision, and it’s a good idea to contemplate the subject for a long time, sometimes years. Going back to undergraduate school or graduate school to earn an online degree for the career path you want to pursue may be a great idea for you, your family, and your future. Most online undergraduate degree programs and graduate programs are convenient because they give students the ability to schedule their coursework around their lives. This includes important things such as a current career, kids or other family needs. Online education may be ideal for someone who wants to switch careers, maybe wants to earn another type of degree to do so, and has to work full-time while earning that degree. Life’s circumstances can interrupt even the most dedicated of students. There’s a sense of accomplishment that comes with finishing all the work that goes into earning a degree and everyone should experience that at least once in their lifetime. Earning a degree may also make your family members proud of you in a way you’ve never experienced before. So if a part of you has always wanted to finish what you started, earning an online undergraduate degree may allow you the flexibility to finish this goal without putting other parts of your life on pause. What is a Non Traditional Student? Did you know only 15% of college students today are "traditional?" 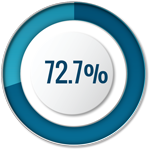 Are you part of the other 85% that make up non traditional students? 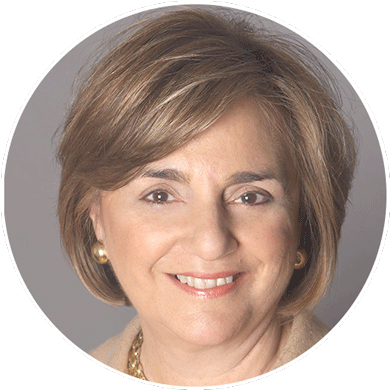 Watch this video to learn more about this growing student population from Carol Aslanian..
An undergraduate is a student attending an undergraduate degree program at a university or college. Often colloquially referred to as ‘Undergrads’. According to NCES, in the fall of 2016 there were an estimated 20.5 million undergrads attending universities and college across the USA. A mere 15 years earlier that number was roughly 15 million. An undergraduate degree refers to the next level of formal education for students who hold a high school diploma or GED. They are the first step to pursuing a “higher education.”Offered by a University or College, undergraduate degrees are academic programs that focus on a specific area of study. The goal of an undergrad student is to earn a Bachelor or Associates degree. Online undergraduate degrees offer both a broad range of subjects and a specific set of subjects. The broad range of subjects is what many schools call “general education.” This typically includes math, science, social studies, English, History, and other “core” subjects. In both associates and bachelors degree programs, students general devote half of the program to general education. The specific set of subjects is covered by what many schools call a “major.” The intent of a Major is to gain specialized knowledge. When someone says they have an associates or a bachelors degree in political science, biology, history, or sociology, what they mean more specifically is that they majored in one of these subjects. Is a Bachelors an Undergraduate Degree? Yes, a bachelors degree, is an undergraduate degree. Generally, a bachelor’s degree will be focused on a particular field of study also known as an undergraduate major, and is typically earned in four years. A wide range of Bachelors degrees are available. These undergraduate degrees usually fall under the heading of either a Bachelor of Arts (BA), Bachelor of Science (BS), or Bachelor of Fine Arts (BFA). What is the difference between an Associate Degree and a Bachelors degree? There are a number of differences between Associates Degrees and Bachelors degrees. Typically, Bachelor degrees take four years to complete while an Associates degree may only take two years to complete. An associates degree also tends to have cheaper tuition than a bachelors degree. Certain careers, many in the vocational or technical field, require specific Associate degree programs. Bachelor’s degrees are generally considered a higher level of education than an Associates. Also, they are are not always geared towards a particular job or profession. It is also likely, that during the course of earning Bachelors degrees, students may supplement their major with unrelated courses, something that’s more rare in an Associates degree program. Do people with an undergraduate degree make more money? In short, it’s possible but earning an undergraduate degree doesn’t guarantee you’ll earn more money. The Bureau of Labor Statistics reports that in 2015 the median earnings for someone with a bachelor’s degree is $1,137/week. While someone with a high school diploma earns just a median of $678/week. That’s a big difference! It is also possible that some careers may require an entry-level education of a bachelors degree or higher. BLS suggests that earning a degree might open up career paths that would otherwise be closed to non-degree earners. Of course, program outcomes vary according to specific curriculum, and no employment opportunities and salaries are guaranteed. A graduate degree is a Masters or Doctoral degree that comes after a student has earned a Bachelors degree. A Masters degree may involve up to another three years of study, though some schools offer fast track programs. Meanwhile, a PhD can take up to six years of additional study. Graduate classes hone in on a specific field of study. Because of this, it is not uncommon for a person to have multiple graduate degrees. Is a Masters Degree a Graduate Degree? Yes, a masters degree is a graduate degree. Graduate students are pursuing a degree to advance their education through a more focused and intensive program. They’re attempting to master their subjects; to deepen their knowledge and enhance their skills. According to the U.S. Bureau of Labor Statistics, more masters degrees were awarded in business than in any other field during 2012-2013. Some of the highest wage premiums for workers with masters degrees were in business, financial, and sales occupations. In numerous other business occupations, employees with masters degrees earned 36 to 89 percent more than employees with bachelors degrees. In 2012-2013, more than 1 out of 5 masters degrees was awarded in education. 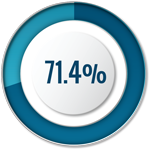 Employees in education with masters degrees earned 44 percent more than employees with bachelors degrees. In 2013, education administrators, preschool and kindergarten teachers, and elementary and middle school teachers benefited most financially from having masters degrees. Many healthcare and social service occupations offered wage premiums for employees with masters degrees. Physician assistants earned 44 percent more by having a masters degree, and counselors and social and human service assistants earned 35 percent more. Other occupations in the field also enjoyed wage premiums. A non traditional student is a student who is going back to school later in life, whether it be a couple of years or 20. Because a non traditional student has life responsibilities such family or work, they are looking for a degree path that offers flexibility and convenience. Many times non traditional students are looking to earn a degree to either enhance their career prospects or change careers altogether. 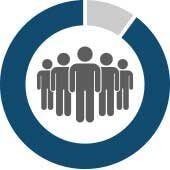 What are popular undergraduate majors & grad school majors? In 2015, Aslanian Market Research conducted a survey of 1,500 students. These students were all engaged in an online program either currently or would be in the next 12 months. The answers also gave us a list of 10 most popular undergraduate majors and grad school majors. Between online undergraduate degrees and graduate degrees, you can see many majors in common. In fact, the top 4 online majors are the same in popularity. So if you’re interested in one of these undergraduate majors, you’re in good company! You should have plenty of classmates if you choose to earn your online degree. 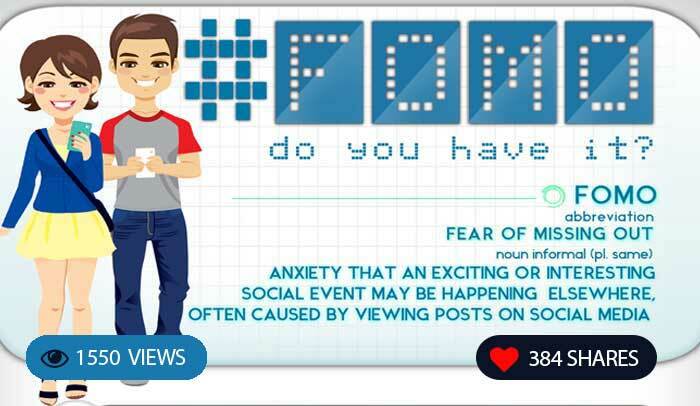 The #FOMO Epidemic: Have you caught it? "Your phone might literally be driving you crazy"Click to Tweet!